And another time a dream comes true. After two years of hard training and lately of some competitions fullof bad luck, this time everything went perfectly. 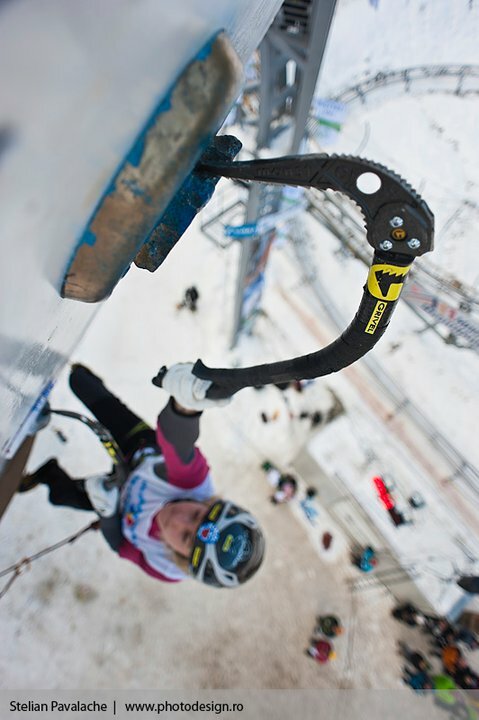 In the beginning of February I won the world championshipin ice climbing in Busteni (Romania). 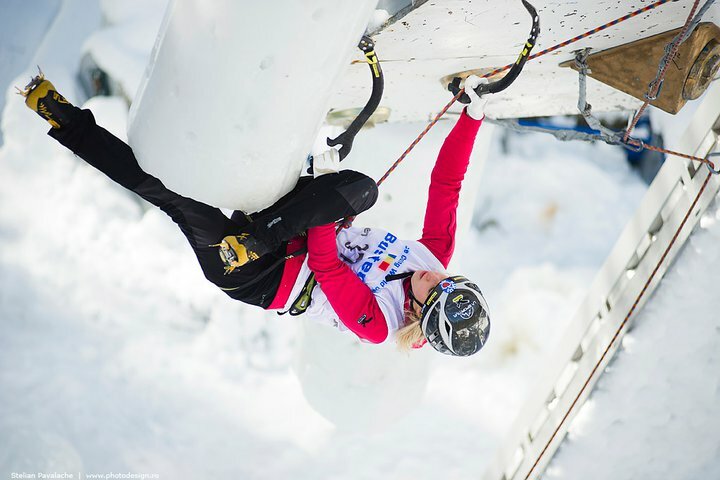 Already during qualification I could see that I was fit. As the only of22 women I was able to reach the top. 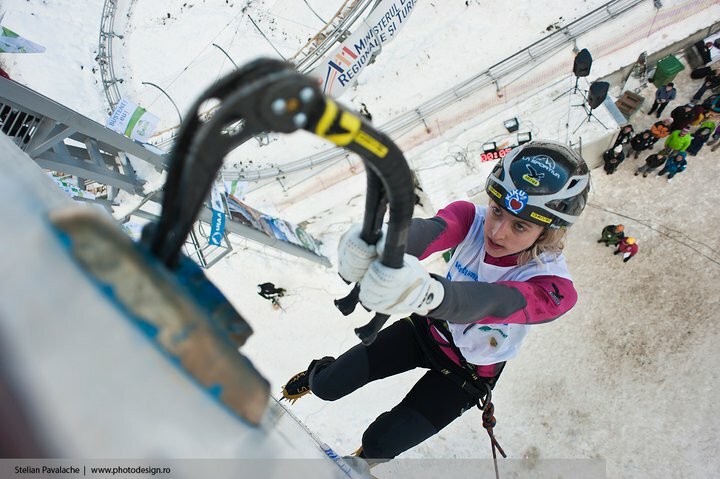 In semifinals 7 women climbed to the highest point but being thefastest, also here I remained first. 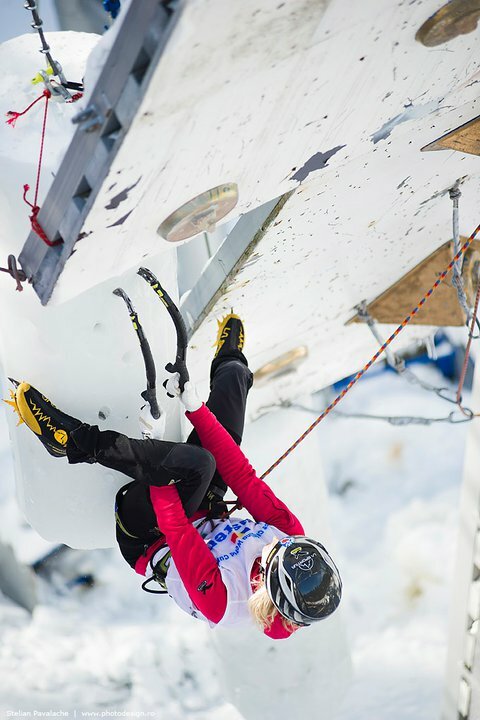 In the final route I was able to give everything, the first part providedthree especially tricky undercleans, then a horizontal roof with stoneholds and an icetravers followed. Fromthere you had to do a difficult move to another hold and then to some vertical ice. Here the Corean ShinWoon Seon fell. I was able to proceed for other four holds to the top, which I wasn’t able to clip in the lastsecond. I am really really happy for this great success which for me is the remuneration of a lot of training but which now represents also a motivation to approach new projects.